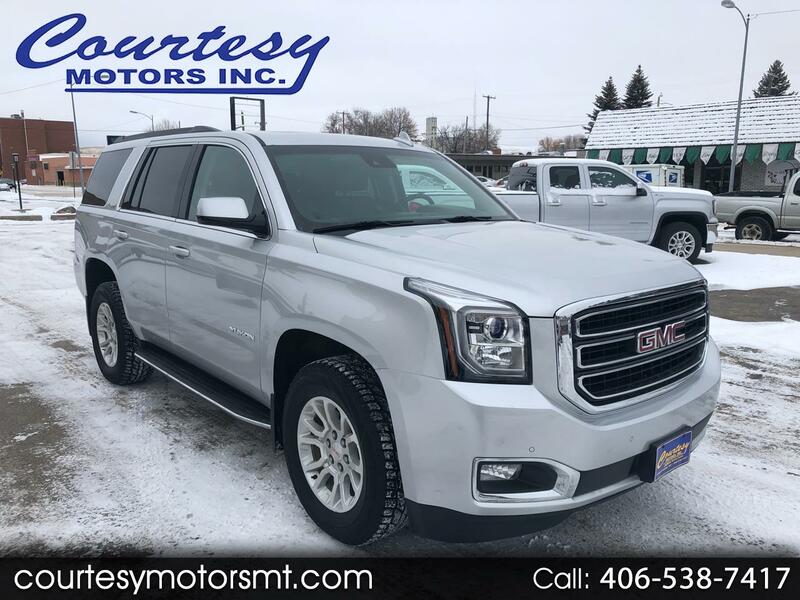 Used 2016 GMC Yukon SLT 4WD for Sale in Lewistown MT 59457 Courtesy Motors Inc.
Local trade on this previous dealer owned 2016 GMC Yukon SLT! Loaded with all the goodies including heated and cooled leather, Navigation, Sunroof, DVD, and so much more. Check out the option list on this 2016 GMC Yukon SLT!